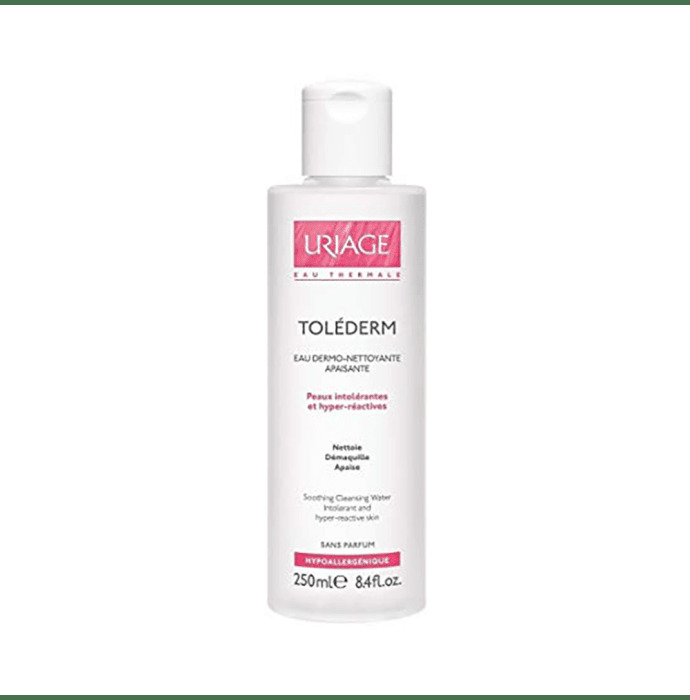 Tolederm Soothing Cleansing Water gently cleanses the skin, removes make-up and soothes very sensitive and intolerant skins. Tolederm Soothing Cleansing Water water guarantees an instant feeling of freshness and can be left on or rinsed off without drying the skin. Fragrance-free, alcohol-free, it guarantees maximum tolerance. Apply once or twice a day, using a cotton pad. With or without rinsing.